When is the last time you got a new toothbrush? If you can’t remember, it’s time to get a new one. The American Dental Association recommends you replace your toothbrush at least every four months. When you use the same toothbrush for a long time, it ceases to be effective at removing plaque buildup from teeth, and they may have a buildup of bacteria that can increase your risk for oral health concerns. In this post, we’ll discuss when you need to change out your toothbrush, what types of toothbrushes are best for you, and how to keep your brush functioning properly. Preventive dentistry is key to maintaining healthy smiles, and using the right toothbrush is an essential part of every oral hygiene routine. Many patients want to know whether an electric or a manual toothbrush is right for them. The truth is, with proper technique, both types of toothbrushes are effective. It is important that you use soft bristled manual toothbrushes or electric toothbrush heads to avoid unnecessary damage to soft tissue. 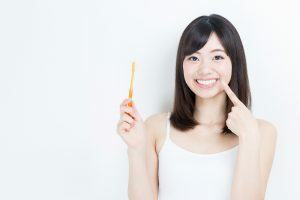 At the Federal Way dentistry practice of Drew Beaty, DDS, we are dedicated to helping patients achieve and maintain the optimal level of oral health with preventive dentistry services, including at-home oral hygiene advice and guidance. Dr. Beaty has years of experience and advanced education that allows him to offer comprehensive dental care for every patient. If you want to learn more or schedule an appointment with us in our state-of-the-art Federal Way dentistry practice, give us a call today. Comments Off on How Often Should I Replace my Toothbrush?